Cornell townhouses is a family low income housing apartment subsidized by the federal governments hud (housing and urban development division). Contact cornell townhouses for complete details on the current vacancies and housing applications. Boltin apartments is a family low income housing apartment subsidized by the federal governments hud (housing and urban development division). Contact boltin apartments for complete details on the current vacancies and housing applications. Asbury apartments is a elderly low income housing apartment subsidized by the federal governments hud (housing and urban development division). this is a section 8 & lihtc, family property. Eagle ridge is a family low income housing apartment subsidized by the federal governments hud (housing and urban development division). Contact eagle ridge for complete details on the current vacancies and housing applications. Georgetown village is a senior low income housing apartment subsidized by the federal governments hud (housing and urban development division). Contact georgetown village for complete details on the current vacancies and housing applications. Bella vista estates is a family low income housing apartment subsidized by the federal governments hud (housing and urban development division). Contact bella vista estates for complete details on the current vacancies and housing applications. 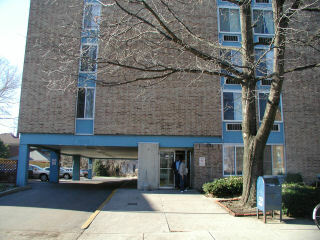 Briar place is a disabled low income housing apartment subsidized by the federal governments hud (housing and urban development division). Contact briar place for complete details on the current vacancies and housing applications. Albright apartments is a family low income housing apartment subsidized by the federal governments hud (housing and urban development division). Contact albright apartments for complete details on the current vacancies and housing applications. Enon plaza is a senior low income housing apartment subsidized by the federal governments hud (housing and urban development division). Contact enon plaza for complete details on the current vacancies and housing applications. Dayton canaan manor is a disabled low income housing apartment subsidized by the federal governments hud (housing and urban development division). Contact dayton canaan manor for complete details on the current vacancies and housing applications.